Locate Memphis buprenorphine and suboxone doctors who specialize in the treatment of opioid addiction. 1688 N Shelby Oaks Dr.
Dr. Ana Marie Tobiasz, M.D. Dr. Norman Lewis Meyer, M.D. Dr. Ethel M. Cobbett, M.D. Dr. Todd Frederick Brooks, M.D. Dr. Douglas Edgar Jones, D.O. Dr. Michael Robert Grossman, D.O. Dr. Jerry L. Lovelace, Jr., M.D. Dr. Paula M. Sandler, M.D. Dr. Melvin Lynn Hobbs, M.D. Dr. Milagros de Vera Pascual, M.D. 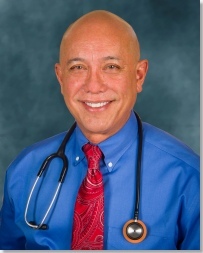 Dr. Frank T. Chin, M.D. Dr. Odie Lee Battles, Jr., M.D. Dr. Emmanuel Teye Kpabitey, M.D. Dr. Sheila Renita Stinson, M.D. Dr. Jacqueline Denise Moses, M.D. Dr. Lucas Anthony Trautman, M.D. Dr. Shubi Razdan Mukatira, M.D. Dr. Vernon Latrell Johnson, M.D.